Pretty cowl. I love that your mum is going to dye it for you. A mother-daughter project - so sweet! Oh my goodness! 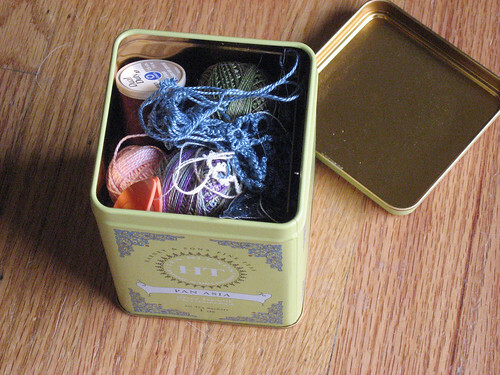 All your tatting supplies fit into one little box! I remember when my entire knitting collection(needles and yarn) fit into one bag! Those were the days! Look out - you may soon have another stash on your hands!! Something about the phrase beanie wearing schedule just cracks me up! I really don't notice the varigation in sweater. But sometimes that kind of thing is way more noticable in person! 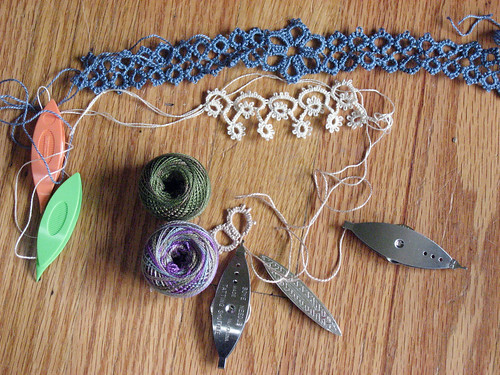 I'm envisioning a future with many tea tins, each with it's own tatting project. I've been using the boxes that my checks come in. Have you hit the Yarn Garden's Sipperie yet? They have wonderful tea. I recommend the Queen Catherine. Hi Marnie, My first shuttle was the steel one with removable bobbin and built in hook. After finding the Clover shuttles I knew I would never use the first one again! I realized how heavy it was and I was frequently getting the hook caught on stuff while working, very annoying. I also bought a pretty silver one with floral engraving. 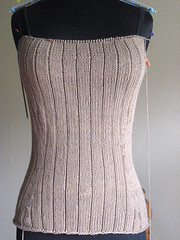 It is beautiful, but, again too heavy, and I found when using it with white thread my work was coming out slightly gray. That never happened with the steel one or the plastic ones. Clovers are it for me. I'll still buy others (new and antique) just to collect and have, but I'll only use the Clovers! Hey, you've got a lot more to show than me! I've been a bit of a slacker lately, exhausted from trying to catch up on work after being on vacay. *yawn* (Seriously, I just yawned!) Oy. The cowl looks yummy, and I know Leo's happy about his beanie. Forgot to tell you, but I bought a pair of clover shuttles for my Portland tatting lesson. Busy, busy! That cowl is looking beautiful!! Do you knit these? 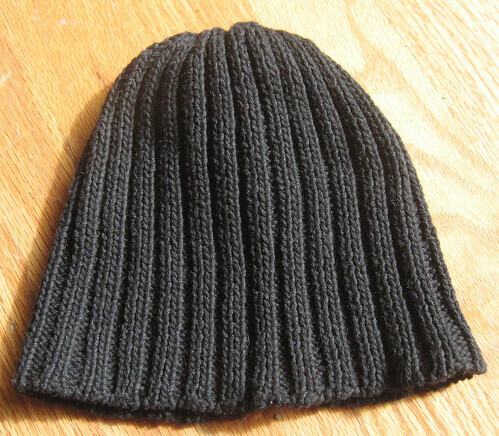 I may consider buying one from you if you make them for people. This page contains a single entry by Marnie published on March 5, 2008 5:23 AM. Sun damage was the previous entry in this blog. Paging Nurses Panda and Theano is the next entry in this blog.